Welcome to Dunn Tire Lancaster! Meet our store manager Matt Brown and his team of trained professionals. Stop by and get advice or assistance in the selection of your new tires. We also offer an extensive list of additional automotive services for your vehicle. Please check out our "Auto Services" tab listed above. 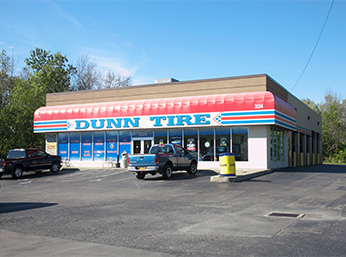 Don't wait to visit Dunn Tire Lancaster! Located between Central and Sheldon Ave. Across the street from Dollar Don's mechanic shop and 1 mile down the street from Noco gas station on the corner of Central and Walden.